Although we travel quite a bit, nothing is better than being home. 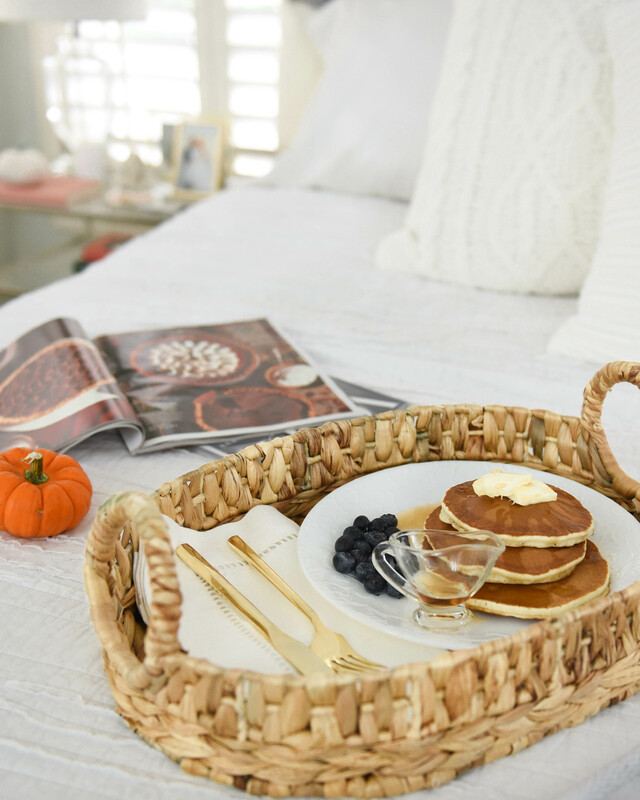 A weekend spent at home with breakfast in bed and a pair of cozy pajamas is such a treat, especially this time of year. If there is one thing that I can never have enough of, it’s loungewear. I recently picked up these PJ Salvage pajamas from Bloomingdale’s and had to put them on as soon as they arrived. This blue lounge top is the softest thing ever!! As soon as my husband felt it, he asked, “Do they make this for men?”. I’m telling you, you will never want to take it off! I also picked up these heart print joggers that were too cute to resist! Both the top and the heart print pants also have matching components (here and here) but I always love the option of mixing and matching! That’s another thing I love about PJ Salvage – there are so many darling sets, that would also make great gifts!, and they are all under $100! Bloomingdale’s is one of my favorite shopping destinations for so many reasons. Besides amazing sales, they have friendly customer service, easy returns + exchanges, plus free shipping – to name a few! We have been all about trying new recipes lately and cooking at home. Fall is the perfect time of year to incorporate seasonal flavors as well as fruits and veggies. One recipe that we never tire of are pancakes! 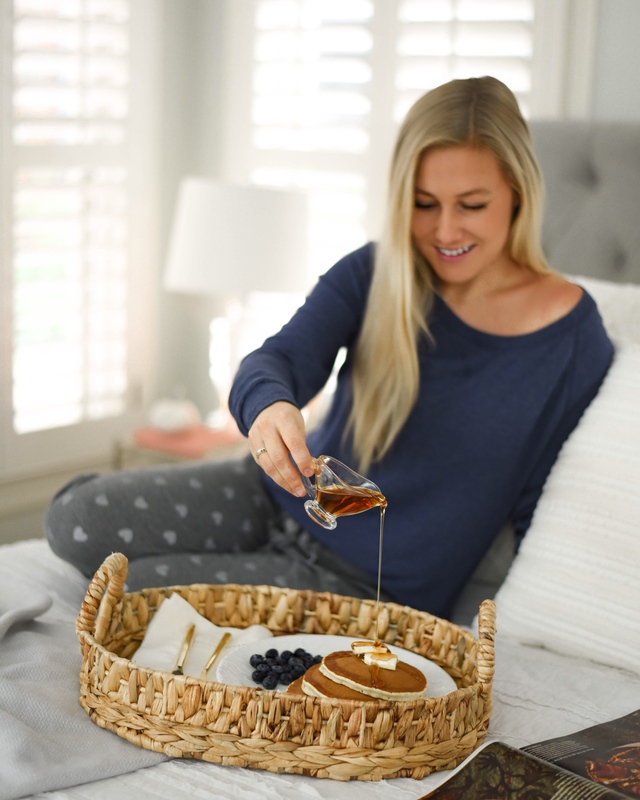 Do you have a special pancake recipe? If so, please share below!! Ours is pretty basic, but topped with chocolate chips, berries, or Vermont dark maple syrup, it always hits the spot! *A special thank you to Bloomingdale’s for sponsoring this post! All thoughts and opinions are my own. Such a cute set and pup! !